I hereby request that you submit an official request for my release to the President of the United States now, without any further delay; and that concurrently you announce this request publicly; and that you follow up immediately with whatever action is needed to implement the request. I am willing to bear the risk of any consequences that may result from your taking this action. Thank you for your immediate attention and action. 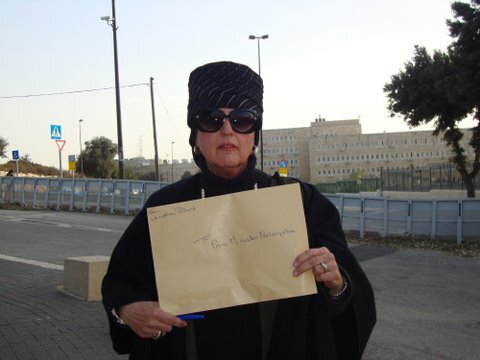 Photos of Esther Pollard hand-delivering the letter to the PM at his office are public domain.